A leading healthcare group in India wanted to carve out a sharper niche for its physiotherapy department across all its hospitals and develop a structured offering focused on the delivery of rehabilitative medicine. Medium played a pivotal role in helping define the new product portfolio with clear service differentiators, and create a business model outlining certain inherent risks, and pre-emptive measures. Despite having major impact on clinical outcome and patient recovery, support services such as physiotherapy tend to get pushed into the background in relation to core specialities in most of the hospitals. Our client, a major Indian hospital chain, engaged us to help define their physiotherapy offering in detail with focus on USPs, and differentiators, and build a comprehensive business model detailing revenue projections and various expense heads. Since home healthcare was an existing vertical with promising growth, the client wanted us to explore its synergy with our plans for rehab services. Our two-pronged approach started with immersion and detailed research, followed by solution formulation. 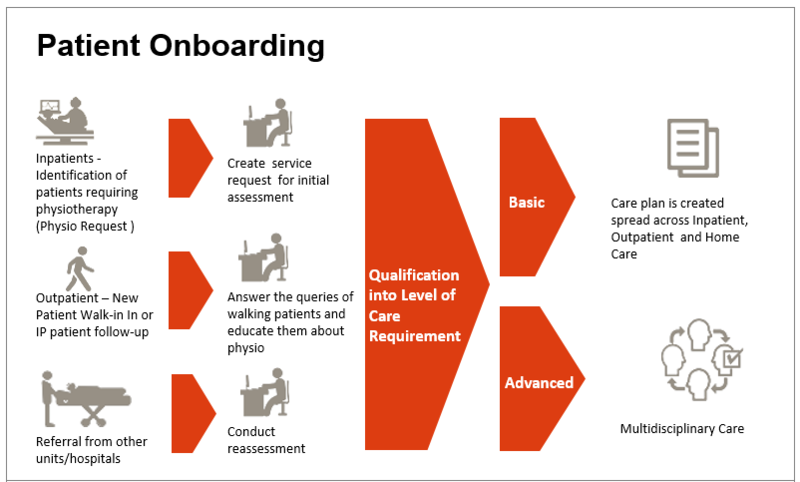 Through rigorous analysis of the secondary data and primary research involving in-depth interviews with multiple stakeholders ranging from physiotherapists and patients to referring physicians and business unit heads, we identified the need gaps, expectations set and also the nuances impacting delivery. To avoid reinventing the wheel and redefine existing benchmarks, we studied some of the globally recognised centres of excellence, particularly in Australia, to understand their service spectrum, product innovations and best practices in this space. And finally, we interviewed multiple CXO level members in the client organization to understand the current business and structure, and their understanding of the unique capabilities and constraints. Our ‘what if’ approach helped them visualise some ambitious scenarios for the vertical. 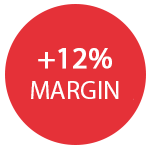 On implementation, the client succeeded in positioning itself as a centre of excellence and as a multi-disciplinary rehabilitation referral centre with over 12% increase in contribution without additional resources in the current system.